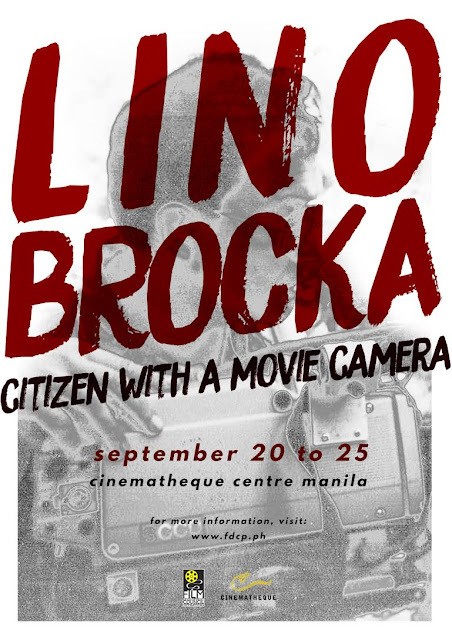 At the Cinematheque Manila will be a weeklong mini-retrospective commemoration of Brocka’s lasting heritage to cinema, culture, and history with screenings of several of his most significant, politically-charged works in film as well as activities celebrating his fight for truth and justice, and the revolution for freedom he helped set into motion. On the 21st, Wednesday, the very day at which Martial Law was proclaimed, Martial Law survivors will be telling their own stories of their harrowing experiences and educating guests on one of the darkest times in our nation’s history. After this intimate gathering will be the screening of one of Brocka’s most important works, the powerful and 1975 film Maynila sa Mga Kuko ng Liwanag starring Bembol Roco and Hilda Koronel, the story of a young man from the provinces finding himself in the city to look for his sweetheart amid the poverty and crime in dark, gritty Manila. The restoration of Maynila was achieved by the World Cinema Foundation, the FDCP, National Film Archives of the Philippines (NFAP), and L’Immagine Ritrovata laboratory, in association with Mike de Leon. The restored version of the film also premiered at the 2013 Cannes Film Festival, and won the Best Archive Restoration/Preservation Title award at the 11th annual FOCAL (Federation of Commercial Audiovisual Libraries).